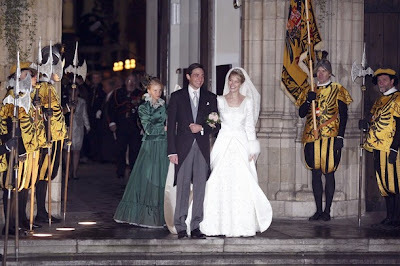 The Belgian town of Mechelen witnessed an unusual royal gathering last Saturday as Archduchess Marie-Christine of Austria married Count Rodolphe de Limburg Stirum in an elaborate ceremony at the Flemish city’s Town Hall and Sint Rombouts Cathedral. Marie-Christine Anne Astrid Zita Charlotte, 25, is the eldest daughter of Archduke Carl-Christian of Austria and Archduchess Marie-Astrid, Princess of Luxembourg, Princess of Bourbon-Parma. Her great-grandfather was Austria’s last Emperor, Karl, and through her mother she is related to the Belgian, Swedish and Danish royal families - among others. 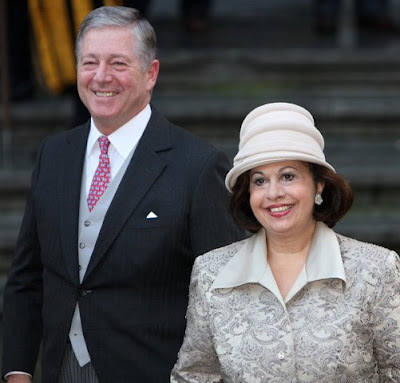 Her grandfather Jean was reigning grand-duke of Luxembourg, her uncle Henri is the current grand-duke. 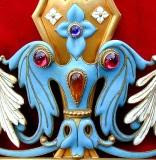 Count Rodolphe de Limburg Stirum hails from an ancient noble family, which has branched out in The Netherlands, Belgium, Germany and France. * Queen Fabiola of Belgium and the Duke of Brabant, Prince Philip. 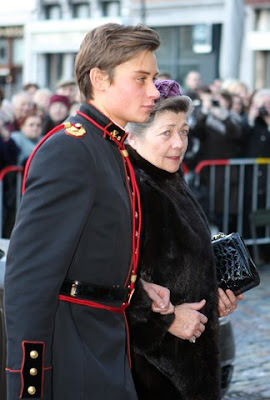 Marie-Christine's grandmother was Joséphine Charlotte, Princess of Belgium, and sister to Queen Fabiola's late husband, king Boudouin and current King Albert II. 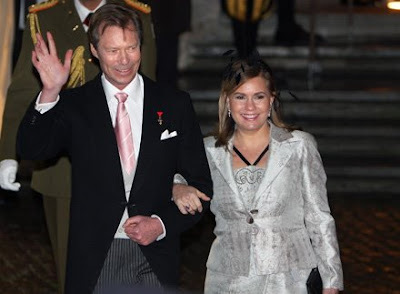 * Grand-Duke Henri of Luxembourg and Grand-Duchess Maria Teresa. * Crown Prince Alexander II of Serbia and Crown Princess Katherine. * Princess Astrid of Belgium and her daughter Princess Maria Laura. 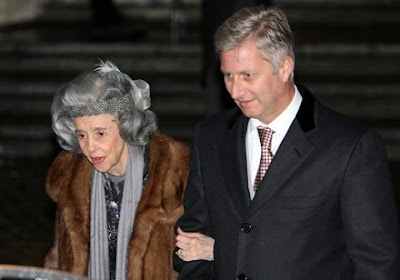 * Princess Hélenè de France, 74, and Count Philippe de Limburg Stirum (brother of the groom). * Prince Félix of Luxembourg, with Princess Maria Anunciata of Liechtenstein, daughter of Princess Margarita and Prince Nikolaus. Maria Anunciata was one of the witnesses at the wedding ceremony. They always looks great. I really enjoy to see this kind of blog. Kamagra Congrats! I just stopped by because I knew the wedding was sometime soon. You all look great in the pictures! The couple looks very lovely on their wedding day. 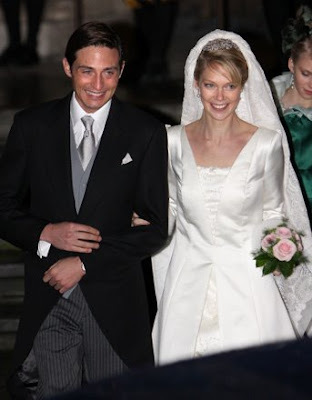 Best wishes to the Archduchess and the Count. Happy for your wedding day and wishes you many more to come. I am looking for one of the gracious venues in NYC for my little sister's bridal shower in a couple of weeks. 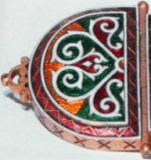 Will finalize everything in a day or so. Draping and ribbon decoration with matching flower ideas are all copied online. Pearl cup cakes and Chocó chip doll cake will also be ordered. Hope she feels special celebrating the day with all her dear ones.